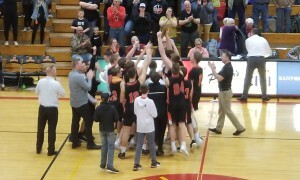 After falling to the Tea Area Titans in the opening round of the State A Tournament, the Dell Rapids Quarriers bounced back with a victory over the Hot Springs Bison on Friday, March 15th. Dell Rapids defeated the Bison 47-37. There were three ties in the game, but the Quarriers never trailed on their way to the win. Dell Rapids built an early 10-6 lead after the first quarter, but Hot Springs trimmed the lead to three at 27-24 by halftime. The offenses for both teams struggled in the second half. Dell Rapids pushed their lead to 36-29 heading into the fourth quarter. The Quarriers then outscored the Bison 11-8 in the final quarter. Dell Rapids finished the game shooting 28% (13-46) from the field, 17% (2-12) from the three-point area, and 76% (19-25) from the free-throw line. 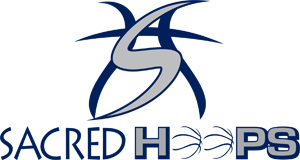 Hot Springs shot 30% (13-43) from the field, 22% (4-18) from three-point area, and 54% (7-13) from the free-throw line. Drew Van Regenmorter led Dell Rapids with 13 points and 10 rebounds. Logan Heim also had 13 points along with six rebounds. Colin Rentz and Coby Maeschen both had seven points in the game. In their final game of the season, the Quarriers fell to the St Thomas More Cavaliers in a hard-fought, close battle. St Thomas More survived a last second shot from Dell Rapids for a 71-69 victory. The Cavaliers held the lead after the first quarter at 16-11, but Dell Rapids stormed ahead early in the second quarter. The Quarriers held a one-point lead with 4:59 to play in the first half, but the Cavaliers led 29-23 at halftime. St Thomas More was able to grow the lead in the third quarter and led 51-40 heading into the fourth quarter. The Cavaliers got their largest lead of the game at 12 points with 2:27 to play. 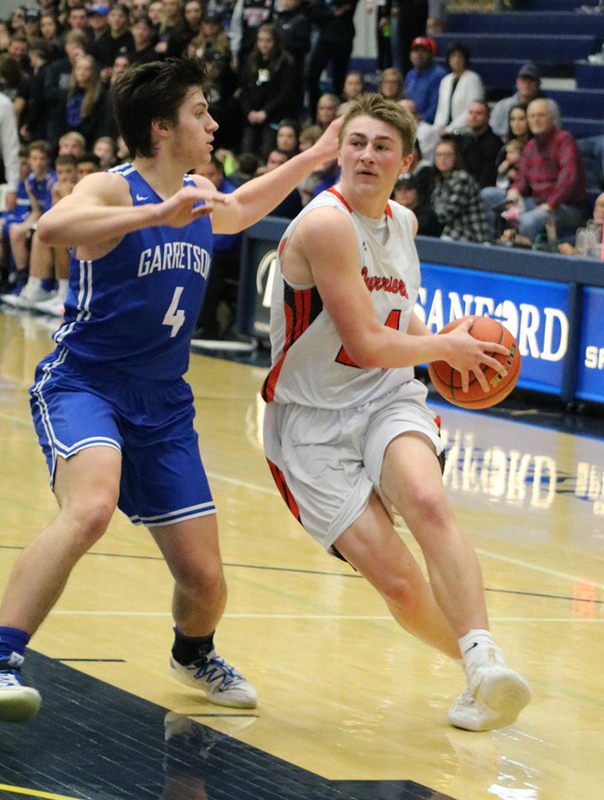 Dell Rapids held the Cavaliers scoreless the remainder of the quarter while mounting a late-game comeback, but a last second, three-point shot fell away no good for Dell Rapids. The Quarriers finished the game shooting 52% (25-48) from the field, 47% (9-19) from three-point area, but only 50% (10-20) from the free-throw line. St Thomas More was 47% (25-53) from the field, 39% (7-19) from three-point area, and 78% (14-18) from the free-throw line. Colin Rentz had a game-high 28 points and eight rebounds. Logan Heim had 11 points and nine rebounds. Connor Rentz and Logan Ellingson also both had 11 points each. Dell Rapids finishes their 2018-2019 season with a 6th place finish at the State A Tournament and a 15-9 overall record. 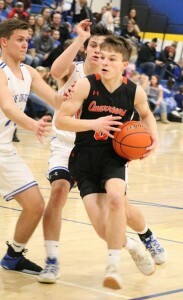 The #8 seeded Dell Rapids Quarriers faced a tough challenge in the opening round of the 2019 South Dakota State A Boys Basketball Tournament on Thursday, March 14th. The Quarriers had to open the tournament against the #1 seeded Tea Area Titans at the Premier Center. Dell Rapids held a slim two-point lead with just under four minutes to play in the opening quarter, but the Titans flexed their muscles throughout the rest of the game. The Quarriers trailed by just four points at the end of the first quarter at 15-11. Dell Rapids, however, was not able to get a bucket to fall in the second quarter and was held scoreless. Tea Area extended their lead to 33-11 at halftime. The Titans continued to roll in the second half. They outscored Dell Rapids 23-16 in the third quarter and 25-11 in the fourth quarter for the 81-38 win. The Quarriers were held to just 24% (12-51) from the field, 18% (3-17) from three-point area, and 52% (11-21) from the free-throw line. Tea Area finished the game shooting 43% (31-72) from the field, 34% (11-32) from three-point area, and 62% (8-13) from the free-throw line. 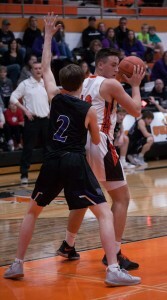 The Titans also out-rebounded Dell Rapids 49-36 and forced 15 Quarrier turnovers. Drew Van Regenmorter led the Quarriers with eight points and eight rebounds. Colin Rentz had seven points and five rebounds. Logan Ellingson tallied five points. Coby Maeschen had four points, and Logan Heim had four points and eight rebounds. Tea Area was led by Noa Freidel with 25 points and Justin Hohn with 19 points. 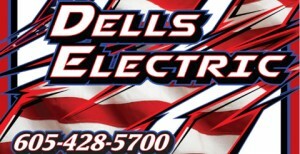 Dell Rapids will play the #5 seed Hot Springs Bison at 12:45 p.m. in the Sioux Falls Arena on Friday, March 15th. The Dell Rapids Quarrier boys basketball team is headed back to the South Dakota State A Tournament for the first time since 2015. The #12 seeded Quarriers shot the lights out in the second half to defeat the #5 seeded Parker Pheasants 59-31 in the SoDak 16 at Sioux Falls Roosevelt High School on Tuesday, March 5th. The first half of the game was an offensive drought by both teams. Parker and Dell Rapids combined to shoot 19.6% (10-51) from the field in the first two quarters. Logan Ellingson started the game with a three point basket, and then Parker went on a 9-0 run for a 9-3 lead. The Quarriers got the last basket of the quarter to cut the lead to 9-5 at the quarter break. Dell Rapids scored the first seven points of the second quarter and regained the lead 12-9 with 2:30 to play in the half. Trey Christensen gave Parker a 15-14 lead with under :30 to play, but Colin Rentz hit a runner in the middle of the lane at the buzzer to give the Quarriers the 16-15 lead at halftime. The second half proved to be much different for Dell Rapids. The Quarriers found their offensive groove and outscored Parker 29-12 in the third quarter for a 45-27 lead after the third quarter. Dell Rapids then held the Pheasants to just four points in the fourth quarter for the big win. After shooting just 16% in the first half, Dell Rapids shot 68% in the second half to finish the game shooting 41% (24-59) from the field. The Quarriers were 22% (5-23) from three-point area, and 67% (6-9) from the free-throw line. Parker finished the game shooting 29% (12-42) from the field, 29% (6-21) from three-point area, and 20% (1-5) from the free-throw line. The two teams both finished with 32 team rebounds, but Dell Rapids forced 15 Parker turnovers while committing just five of their own. Four players finished in double figures for Dell Rapids. Colin Rentz had 17 points, five steals, and four rebounds. Connor Rentz had 12 points and four rebounds. Drew Van Regenmorter also had 12 points along with three steals. Ellingson tallied 10 points, 10 rebounds, and five assists. Logan Heim added eight points, nine rebounds, three assists, and two blocks. Christensen led the Pheasants with 18 points and 10 rebounds. Dell Rapids will enter the 2019 South Dakota State A Tournament as the #8 seed. The Quarriers will play the #1 seeded Tea Area Titans in the opening round at 3:00 p.m. on Thursday, March 14th. The state tournament will be held at the Premier Center in Sioux Falls Thursday, March 14th through Saturday, March 16th. The Dell Rapids Quarrier boys basketball team earned their second straight trip to the SoDak 16 after a 68-53 win over the Garretson Blue Dragons in the Region 3A Tournament on Friday, March 1st at the Elmen Center in Sioux Falls. 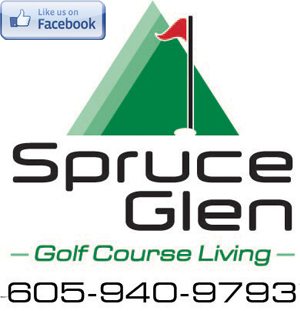 The game was much closer than the 15-point difference suggests. Dell Rapids got out to an 8-4 lead in the first three minutes of the game and extended that lead to 10 points at 16-6 after a three-point basket by Colin Rentz with 3:39 to play in the opening quarter. The Quarriers led 21-15 by quarter’s end. Garretson went on an 11-2 run and took the 26-23 with 4:30 to play in the second quarter. Dell Rapids responded with an 8-0 run to close out the quarter and regain the lead at 31-26 by halftime. The Quarriers maintained about a six-point advantage over the first four minutes of the the second quarter, but the Blue Dragons cut the lead to 37-34 with just under four minutes to play in the quarter. Dell Rapids did not let Garretson get any closer than that and pushed the lead back to nine points at 48-39 heading into the final quarter. Logan Ellingson knocked down a three-point shot from the right wing with 6:33 to play in the game giving Dell Rapids a 12-point lead at 51-39. Garretson rallied to cut the lead down to five points at 54-49 after a Drew Blosmo three-point shot with 4:00 to go. Dell Rapids again responded and pushed the lead back to nine at 58-49. The Blue Dragons would once again cut the lead down to five points at 58-53 with 2:12 remaining. The Qurriers closed out the game on a 10-0 after a couple of made baskets and made free throws down the stretch. Drew Van Regenmorter led Dell Rapids with 19 points in the game. Connor Rentz had 16 points, Logan Heim added 13 points, and Ellingson finished with nine points. The Blue Dragons were led by Trevor Fiegen and Blosmo with 22 points each. Dell Rapids (13-7) will enter the SoDak 16 as the #12 seed and play the #5 seeded Parker Pheasants on Tuesday, March 5th at 7:00 p.m. at Sioux Falls Roosevelt High School. The game can be seen on Big Sioux Media. 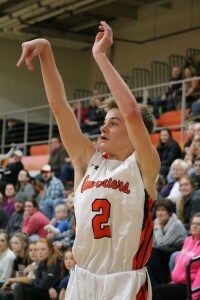 Playing in their second game in as many days, the Dell Rapids Quarrier boys basketball team closed out their 2018-2019 regular season with a road win against the Flandreau Fliers on Saturday, February 22nd. Dell Rapids won the game 59-46 for a third straight victory. The two teams were locked in a close battle in the first quarter with Dell Rapids holding a slim, three-point lead at 13-10 after the first quarter. The Quarriers, however, put together a solid second and third quarters to put some distance between themselves and Flandreau. The Quarriers outscored the Fliers 19-10 in the second quarter for a 32-20 halftime lead. The lead grew to 50-33 after Dell Rapids outscored Flandreau 18-13 in the third quarter. The middle two quarters proved to be enough to hold off a small Flandreau rally in the fourth quarter. Colin Rentz finished the game with 12 points, four rebounds, and three assists. Logan Ellingson also had 12 points along with two steals. Connor Rentz added 11 points, six rebounds, and three assists. Jacob Rechtenbaugh had seven points, and Drew Van Regenmorter finished with six points. Flandreau was led by Connor Lebrun with 20 points and Tash Lunday wiht 17 points. Dell Rapid finished the regular season with a 12-7 record and a #2 seed in the Region 3A tournament. The Quarriers will earn a first round bye and will play on Friday, March 1st at the Elmen Center in Sioux Falls at 8:00 p.m. The game can be seen on Big Sioux Media. Looking to keep themselves as the second seed in the Region 3A standings, the Dell Rapids Quarrier boys basketball team earned a key road win at Garretson on Thursday, February 21st. The Quarriers beat the Blue Dragons 75-57. Dell Rapids got out to a fast start and built a double-digit lead in the first quarter. The Quarriers led 25-9 after the first quarter of play. Dell Rapids pushed the lead to 22 points at 38-16 with 4:15 to play in the second quarter. Garretson then went on an 18-5 run to cut the deficit to 43-34 by halftime. Garretson cut the Quarrier lead to six points at 43-37 in the first minute of the third quarter and then again at 48-42 with 5:00 to go. Dell Rapids then held Garretson to just two points the remainder of the quarter and led 56-44 heading into the final quarter. The Quarriers closed out the game outscoring the Blue Dragons 19-13 in the final quarter. Logan Ellingson had a team-high 24 points along with five rebounds. Connor Rentz finished with 15 points. Logan Heim tallied 13 points and 13 rebounds. Drew Van Regenmorter also finished in double figures with 10 points and seven rebounds. Colin Rentz had eight points and six assists in the game. 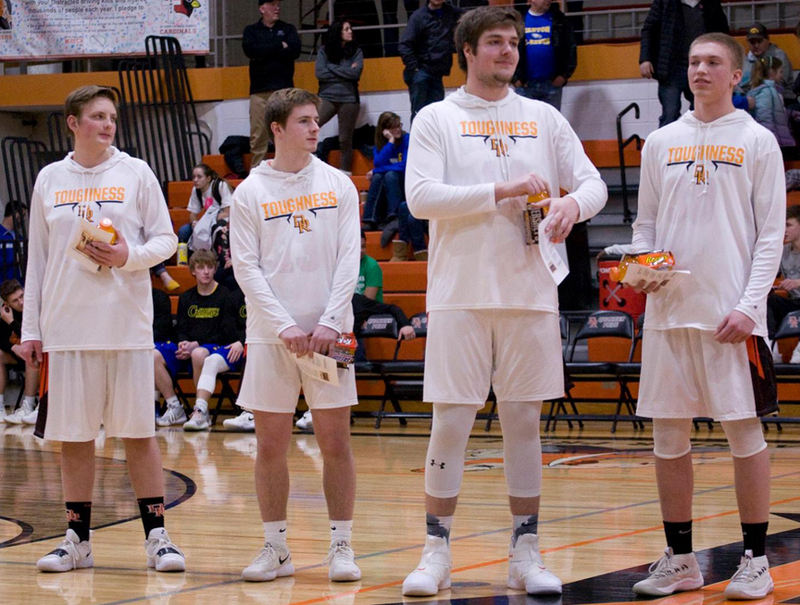 Dell Rapids (11-7) will look to end the regular season on a three-game winning streak when they travel to Flandreau to take on the Fliers on Friday, February 22nd. Big Sioux Media will have a link to the Flandreau live stream of the game. 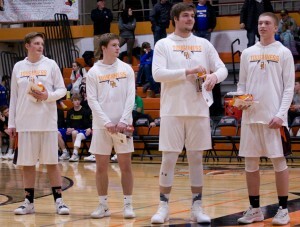 The Dell Rapids Quarrier boys basketball team got back into the win column on senior night against the Canton C-Hawks on Tuesday, February 19th. The Quarriers defeated the C-Hawks 76-42. The win snapped a three-game skid for Dell Rapids. 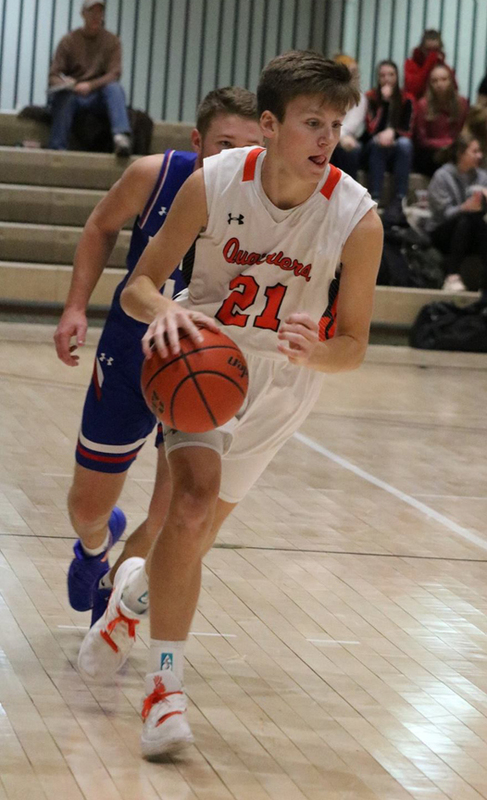 Nick Boever started the game with six straight points on two made three-point shots, and the Quarriers never trailed in the game. Dell Rapids built a 15-10 lead after the first quarter, but extended the lead to 21 points by halftime at 37-16. The Quarriers went on to outscore Canton 39-26 in the second half for the win. Dell Rapids had four players finish in double figures. Drew Van Regenmorter finished with 13 points. Connor Rentz had 12 points and eight rebounds. Coby Maeschen had 12 points. Jacob Rechtenbaugh had 10 points and nine rebounds. Logan Heim finished with 12 rebounds and four assists. Four senior also played in their final home game of their careers. The four seniors for the 2018-2019 season are Nick Boever, Matthew Benda, Jacob Rechtenbaugh, and Logan Heim. Dell Rapids (10-7) will hit the road on Thursday, February 21st. Dell Rapids will travel to Garretson to play the Blue Dragons in a girls and boys double-header. Big Sioux Media will have a link to the Garretson High School stream. The Dell Rapids Quarrier boys got into an early hole and fell to the Lennox Orioles on Friday, February 15th at Lennox High School. The Orioles defeated the Quarriers 65-51. Leading 5-4 early in the game, Drew Van Regenmorter made a three-point shot with just under three minutes to play in the first quarter to give Dell Rapids an 8-4 lead. Lennox would then go on an 11-0 run to end the quarter with a 15-8 lead. Lennox built a double digit lead in the second quarter and led by 15 at 33-18 by halftime. The Orioles pushed the lead to 20 points at 40-20 with 6:30 to play in the third quarter. Dell Rapids then held Lennox to just four free throws over the next five minutes and fifteen seconds as they cut the lead to single digits at 44-35 with 1:15 to play in the third quarter. The Orioles held a 48-40 lead heading into the final quarter. Logan Heim made a shot from the block with 7:20 to play in the game to keep the Lennox lead at eight points at 50-42. The Quarriers held Lennox scoreless over the next two minutes and had three offensive possessions to try to cut into the eight-point deficit, but couldn’t get the ball to fall through the hoop. The Orioles then went on an 8-2 run to lead 58-44 with 3:30 to play. That was enough for the Orioles to hold for the victory. 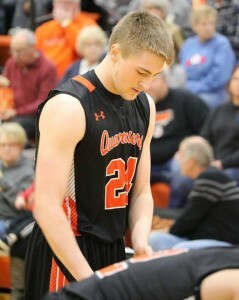 Connor Rentz led the Quarriers with 15 points. Colin Rentz added 11 points. Lennox was led by Will Daugherty with 19 points and Josh Arlt with 17 points. Dell Rapids (9-7) will host Canton on Tuesday, February 19th as part of a girls and boys double-header. It will also be senior night. Both games can be seen on Big Sioux Media. The Dell Rapids Quarrier boys basketball team won their third straight game on Tuesday, February 5th against the Mt Vernon/Plankinton Titans. The Quarriers won by a score of 56-44. This is the third time during the season the Quarriers have won three games in a row. Dell Rapids opened the game by winning the tip-off and scoring seconds later for a quick 2-0 lead. The Titans took the next five points and led 5-2 with 5:40 to go in the first quarter. The Titans kept their three-point lead over the next minute and led 9-6. Dell Rapids then went on an 11-0 run over three minutes to take a 17-9 lead with 1:50 to go in the quarter. Dell Rapids led 19-13 at the end of the first quarter. Dell Rapids maintained a five-to-seven point lead through the first half of the second quarter. The lead grew to 10 points at 28-18 with 3:26 to go in the half. The Titans were able to cut that lead in half by halftime at 31-26. The Quarrier defense locked down the Titans in the third quarter and only allowed two points in the first five minutes of the second half. Dell Rapids grew their lead to 13 points 41-28 with 2:49 to play in the third quarter. Dell Rapids finished the third quarter leading 44-31. The Quarriers grew their lead to a game-high 19 points at 54-35 with 4:40 to play in the game. The Titans went on a 9-0 run to cut the lead to 54-44 with 3:00 to play, but that’s all the Quarriers would allow for the Titans in the game. The Quarriers had a total of 31 team rebounds, 12 assists, seven steals, and 10 team turnovers. 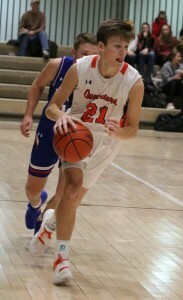 Connor Rentz had a game-high 25 points to lead the Quarrier offense. Logan Heim had nine rebounds, and Coby Maeschen had seven rebounds. Colin Rentz led the team with four assists. Dell Rapids (9-4) will host the Dakota Valley Panthers in a girls and boys double-header on Friday, February 8th. Both games can be seen on Big Sioux Media.